It is December 1st and so it is time to start the holiday traditions! I love all the traditions and I especially love creating new ones with my children and husband. One tradition I knew I wanted to start with my family this holiday season, since my daughter is almost three and actually understands what is going on, is an advent calendar. I searched the web, ok Pinterest, to find the cutest and easiest DIY advent calendar ideas and I eventually came across adorable mini piñatas. I wasn’t able to find all the supplies that the original post used so I had to improvise but I always love putting my own twist on a craft. Here is what I was able to come up with! 1. 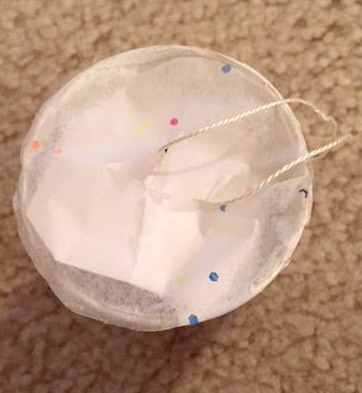 Wrap the cup with the decorative tape. I used two kinds of decorative tape, glitter and polka dot fabric. For the fabric tape I wrapped one and then the next morning it had started to fall off of the cup so I had to redo it by gluing it down using a hot glue gun. For the glitter tape I only had to use glue for the very end but everything else stuck to the cup. 2. 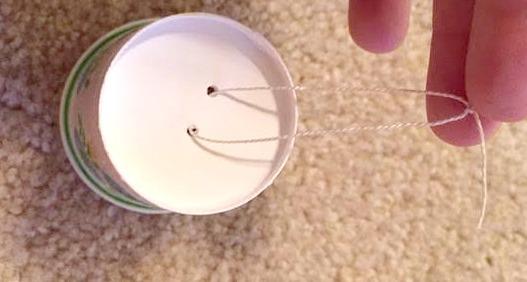 Poke two holes in the top of the cup. 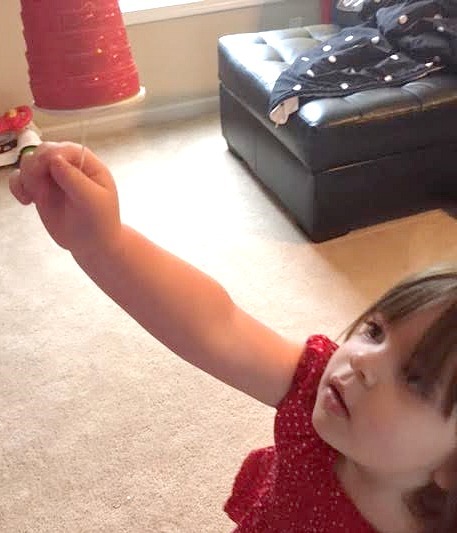 Loop string through the holes and tie at the top, this will let you hang the mini piñatas on the Christmas tree. For the first cup I did this step first but then when I was wrapping the cup with the tape, the string kept getting in the way so I decided this step was easier done second. 3. 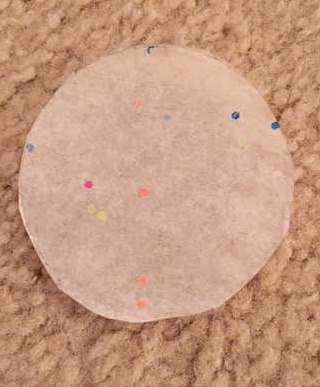 Trace a circle out of the tissue paper using the bottom of the cup. Cut a cross in the middle of the circle. Set aside. I was able to cut the cross in the middle by folding the circle in half and cutting a little bit right in the middle, then open the circle and fold in half on the first cut and cute perpendicular to the other cut. When you open the paper you should have a cross. 4. Cut out a “circle” (or whatever shape is in the picture above) with the cardstock. Poke two holes in the cardstock. 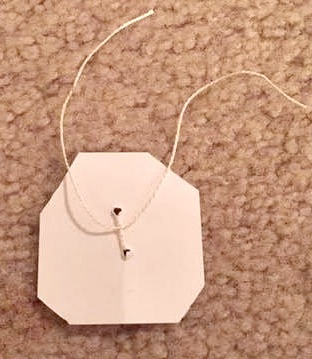 Loop string through the holes and tie the string together at the base. Set aside. The circle for this step needs to be small enough to fit inside the cup but big enough to keep everything in the cup. 5. Now add in the prizes. 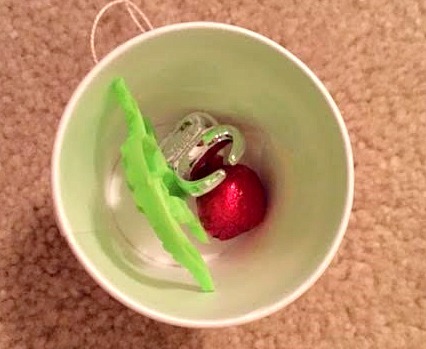 I bought some Christmas candy and toys that were small enough to fit inside the cups and they were all from the dollar store. 6. Add in some fun extras. 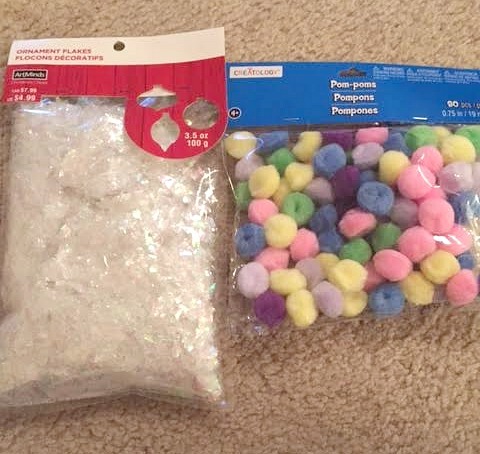 I got some glitter confetti and pom poms from Michael’s to add a little pizzazz to the popping of the mini piñatas. 7. Place the cardstock circle inside the cup, on top of the prizes. 8. 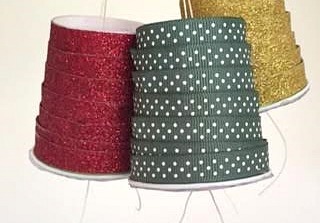 Glue the tissue paper circle onto the rim of the cup using a glue gun. 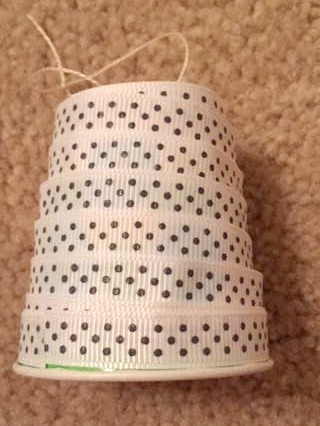 Make sure the strings don’t get caught in the glue and end up being stuck to the cup. 9. Pull the sting from the cardstock through the cross of the tissue paper, for this step I used tweezers. 10. Repeat these steps 24 more times to make 25 mini piñatas. 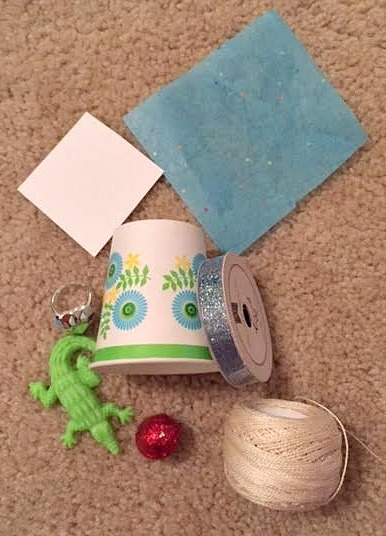 There are the cute DIY advent mini piñatas my daughter will be having a fun time “popping” open while we wait for our favorite holiday of the year! We did our first mini piñata today and she loved everything about it. She loved being able to be interactive with it, how cute they are and that it had chocolate and toys inside! What more could an almost three year old want? « What Mom REALLY wants for Christmas!